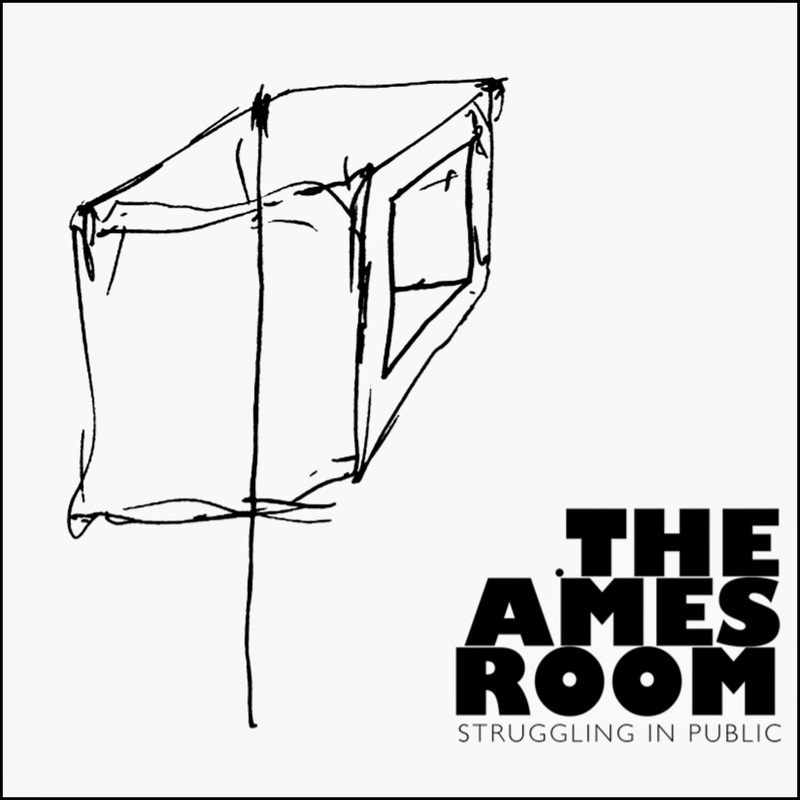 We were more than pleased with the two previous albums of The Ames Room: "Bird Dies" and "In", and we are still of the same opinion with "Struggling In Public" a live album of performances given in Berlin, London, Newcastle and Paris. The trio is Jean-Luc Guionnet on alto sax, Clayton Thomas on bass and Will Guthrie on drums. They call their music 'minimal-maximal terror jazz', and that makes sense in a way. The trio's sound range appears to be reduced to a few notes, and that includes the bass and the alto, which are repeated in small phrases with incredible insistency, like some madmen making the same argument again and again, changing force and attack, slightly changing perspectives but never changing the message, repeating it again and again, raw, ferocious, relentlessly, and without end. This simplicity is in a way its greatest strength, because the forced confinement gives a claustrophobic effect out of which you want to escape with violence, not only as musicians, but also as listener. Yet the effect is hypnotic at times, trance-like too, like some primitive ritual in which repetition is needed in a wild kind of angry incantation, and the wild abandon within the confines knows no boundaries: everything is reduced to energy and power and interaction, hard, limitless. And it's exactly that paradox which makes this great music. I love this trio!